What are the uses of plexiglass display stands? 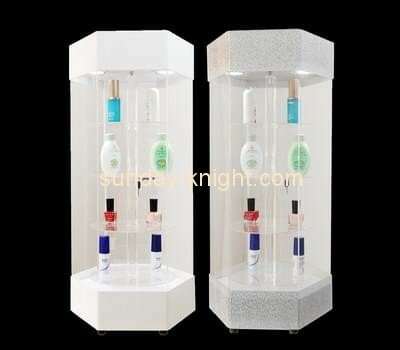 The plexiglass display stand is popular among merchants for its transparent appearance, firm structure, free assembly, easy processing and convenient transportation. 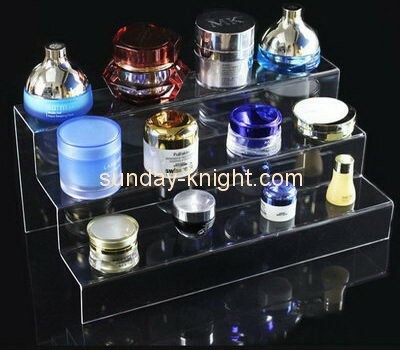 Because the products displayed on the plexiglass display stand are noble and elegant, the high-end atmosphere, for the general consumption, the goods will go to the sales site. When they go to the sales site, their eyes are attracted by those advertisements, and they will choose to buy those products. In the product sales industry, the existence of plexiglass display stands out. What are the uses for plexiglass displays in addition to merchandise displays? A. The plexiglass display stand can be printed in color because of its appearance. It is currently an excellent advertising carrier. B. Plexiglass is suitable for all kinds of large-scale promotional activities, stores, shopping malls, exhibitions, etc. 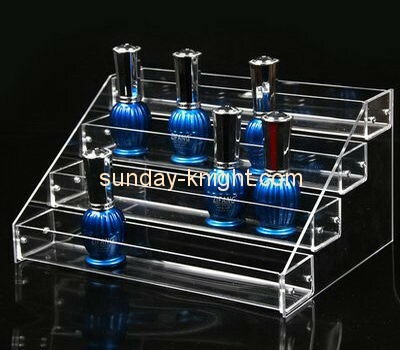 The color, pattern and shape of the plexiglass display stand can be freely designed, and the publicity effect is excellent. 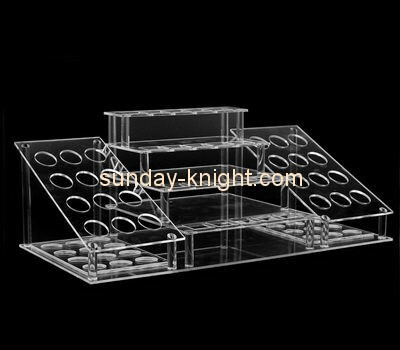 C. Plexiglass display stand It is light in weight, can be used repeatedly, and can be stacked flat, which can effectively save freight logistics costs. D. The plexiglass display stand is economically viable, and the plexiglass display stand can be recycled when the appearance pattern of the finished product of the seller is improved. E. The plexiglass display stand is flexible, and can choose different color plates according to the requirements of customers and the objects to be carried, and can be combined with other materials to make mixed display racks, such as wood, metal and plastic. 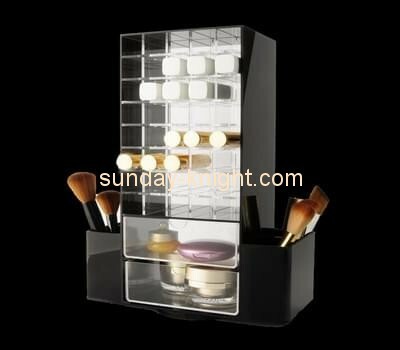 The plexiglass display stand can be used for products such as cigarettes, wine, photo frames, watches, jewelry, mobile phones, glasses, light boxes, billboards, hotel home products, dressing stores, etc. It can also be applied to corporate fairs, The design can be designed according to the needs. 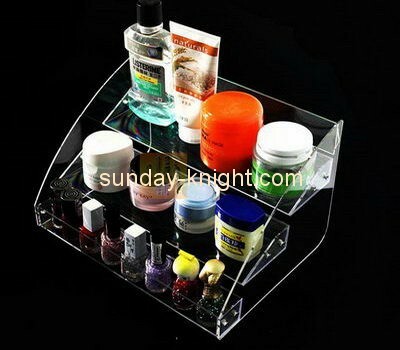 A plexiglass display stand can sometimes also be referred to as an acrylic display stand. The use of plexiglass display stands here today. Commodity homogenization has become more and more serious today. If you want to kill a bloody way, you must have a new breakthrough. As the frontier of the development of the enterprise, the sales terminal can only ensure the development of the enterprise by making the sales terminal well. Therefore, it is very important to choose a commercial promotional advertising carrier. For the plexiglass display stand, it combines art and design perfectly through the acrylic display processing technology, which can fully display the products, highlight the characteristics of the products, and increase the products. 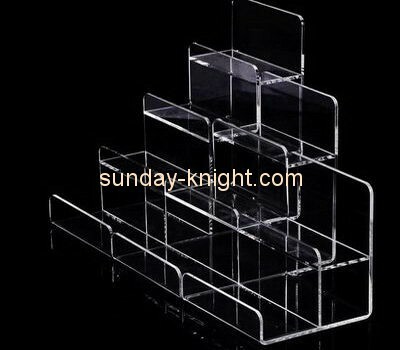 Exposure, attracting attention, and thus increasing the sales of products, so plexiglass display racks have become the choice of thousands of businesses.